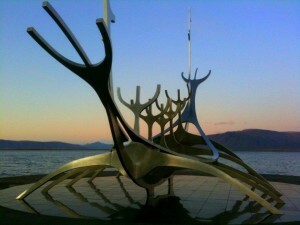 When most people think of Iceland they think of skidoos, the northern lights and Bjork. I guess if you are a bit more musically minded, you may also think of Sigur Ros too…either way surfing, is not really something people associate with Iceland. I’ve visited Iceland before, but this October I was on a mission to get in the water and surf there, whatever it took. After a day or two of scouring the skate shops and sending a bunch of emails I finally managed to uncover some of the local surf scene. Believe me when I tell you that finding somewhere to hire a surfboard and wetsuit in Iceland is not easy. However I was lucky enough to meet Mummi who had just opened his skateboard and surf store JadarSport about 7 miles out of Reykjavik in Hafnafjordur. I whizzed over there to see him. 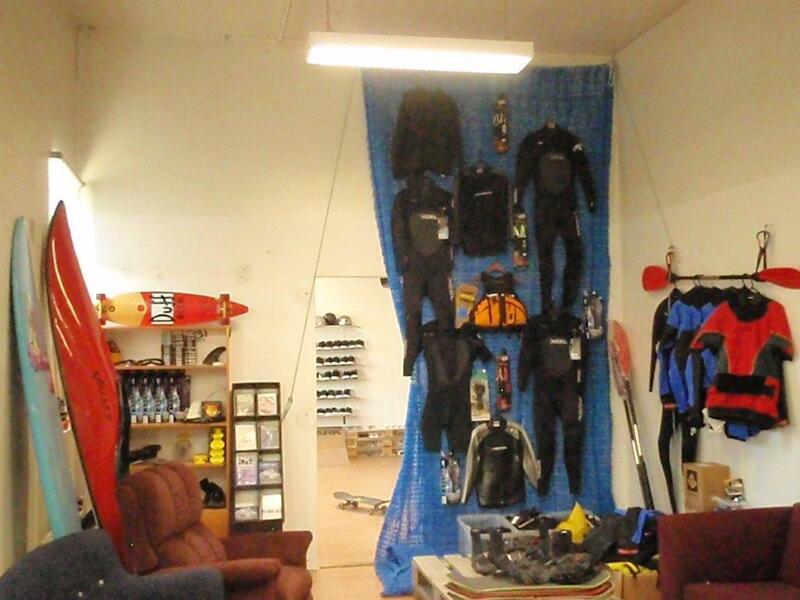 It was cool to see that his store stocked a range of skate, wake board, kayak and surf kit for sale and hire. When I arrived Mummi had to dash over from sorting shipping orders of cod to the UK, but even though he was busy, he offered to take me out surfing and hired me some kit. The next day we headed off to surf a point break near the Reykjanes Penninsula in the south western corner of Iceland called Thorli. Thorli is about a 45-minute drive from the capital Reykjavik and first we checked the beach. This was a stretch of black sand and dunes as far as the eye could see and reminded me of Penhale. There was some cross-offshor breeze on it making for some hollow surf and there was no one out. However Mummi was keen to check the reef a few miles away. We got to the point break and could see some consistent head–high sets. The wind gave it a bit of a bump, but there were plenty of peeling rights coming through, one after the other. I guess its one of those things, when a reef is working few surfers I know want to surf a beach. As we got changed it felt like a winters day in the UK. I looked around for other surfers, but apart from Mummi and me there was literally no one else around. He told me that he estimated that maybe 20-30 people surf in Iceland. That figure is around 30,000 surfers in the UK. Don’t worry about crowds in Iceland. 20-30 local surfers have 5000km of coastline to surf. That’s around 100 miles of coastline per surfer! If you are used to sharing busy line-ups with 200+ surfers, trust me, you won’t find it crowded! We put on our 6mm suits, gloves, boots and hood and hit the surf. It was a fun surf and apart from a bit of chilly face on the wipe-outs it was no colder than the UK in winter. With it being an empty point break it was like a wave conveyor belt serving up one right after another. Why are there so few surfers in Iceland? Saying surf breaks in Iceland are ‘un-crowded’ is a bit misleading, it’d be more accurate to call them ’empty’. 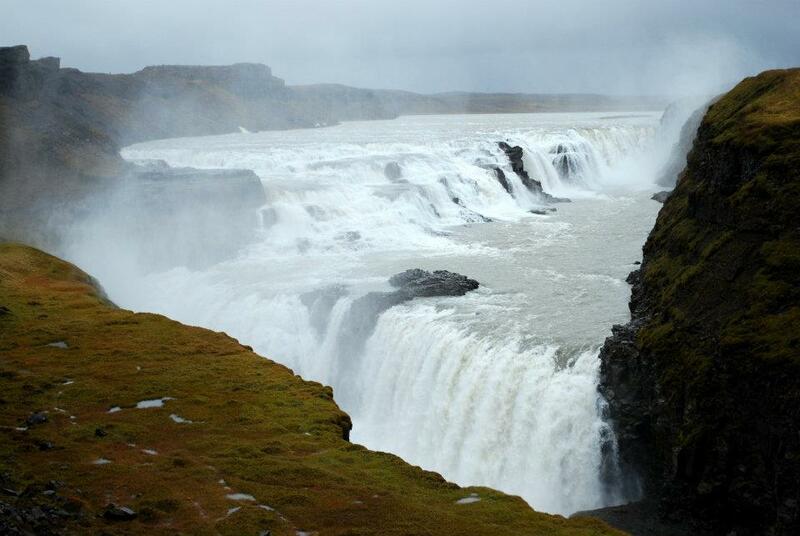 Even thought its quite a sizeable country, Iceland has a relatively small population of about 320,000 people. That’s a similar population to a city like of Leicester or Cardiff here in the UK. Unlike Cardiff (or Leicester) it’s a volcanic Island. The coastline is a mix of black-sanded beaches and rocky reefs – think Fuerteventuran reef breaks on a British winters day and your some of the way there. Many of these are point-breaks and when favourable winds blow they can produce world-class hollow surf. In geological terms, Iceland is a young island. It formed from a series of volcanic eruptions on the Mid-Atlantic Ridge. The south of Iceland is a bit warmer than the north. Spring to Autumn water temperature in southern Iceland ranges from 4-5c and go up to over 10c in late summer and autumn. This is similar to the winter – spring water temperatures in Cornwall. Another interesting feature about Iceland is that in the spring- summer period, it can be light pretty much around the clock. That’s right you can go surfing at 2am if you want. If it’s looking offshore when everyone else is asleep, you can still head to your un-crowded reef break! Amazing natural beauty –breath-tasking waterfalls, thermal springs, northern lights, wild horses, glaciers – the list goes on. It hardly gets dark in spring/ summer, so you can surf at 2am if you want. No surf industry for kit hire. In Newquay its easy to take for granted that in the space of a mile, there are a dozen or more shops that can sell or hire you a surfboard or wetsuit. In Iceland there are no shops I have found that sell surfboards or surf wetsuits with the exception of Mummi’s and the surfers I spoke to repaired their boards themselves. It is cold. Many surfers like warm water if they go away. This is particularly true if you come from a cold-water country. That said plenty of the UK’s top surfers are happy to put up with cold water for great waves. Winter is cold in Iceland but this is not necessarily the case for a lot of southern Iceland in the spring-summer. Whilst it doesn’t get super-hot, the air temperature in May through to September can be quite mild, and you certainly won’t always need a coat. It can be expensive. Its true that Iceland can be expensive. In 2006 when I first went there a pint of beer was around £8. However prices have gone down in the last couple of years and Iceland is now relatively quite a bit cheaper than Norway, Sweden and Denmark. Many goods in the supermarket are a similar to the UK, and the beer (whilst not cheap) has come down to average London prices. 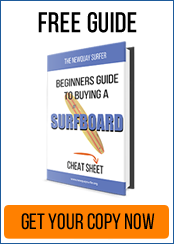 Taking surfboards is expensive. Getting a ferry is not really an option as there are no direct ferry routes from the UK to Iceland, so you must fly. Return flights from Heathrow rang around the £200-£250 mark, however one of the biggest obstacles for surfing in Iceland is that the main airlines still charge travellers a lot for taking surfboards. The current fee for Iceland Air for taking a board is around a £150.00. Not ideal for beginners. Whilst there are some beach breaks in Iceland and the waves will sometimes be mellow, it is not the obvious place to go to learn surfing on your own. Most beaches may be empty with no lifeguards and potentially no people around for miles. This means if you get into trouble you are on your own. If you are not confident in rocky reef bottoms and dealing with channels and rips, or haven’t surfed that much then it is probably wise to stick to organised surf schools at lifeguarded beaches elsewhere in Europe. That said, if the sound of un-crowded hollow reef breaks, lots of natural beauty and surfing at 2am appeal to you then go surf in Iceland. It can be done! 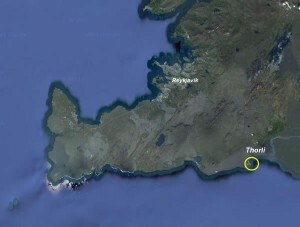 Take your own wetsuit, then give someone like Mummi a call in Hafnafjordur and he’ll see if he can find a board for you. Surfboard hire may be limited in Iceland, but there is usually going to be some great waves! You’re right the water is warmest September-Oct (as it is in places like Ireland & UK) You would likely still need 5-6mm wetsuit with boots and gloves and prob a hood as the water temperatures will rarely go above 9c even in the south.